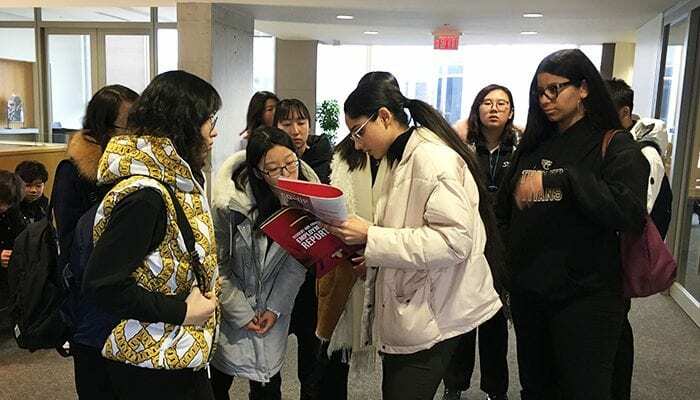 On March 21, 2019, secondary International Students from across our Board visited the prestigious University of Waterloo. 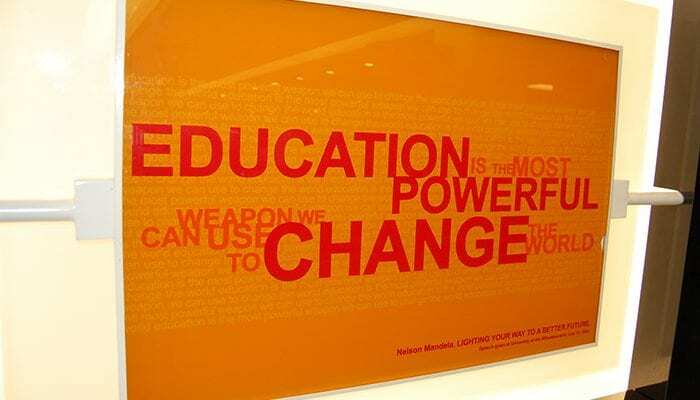 The University of Waterloo is known world-wide for its innovative programs. 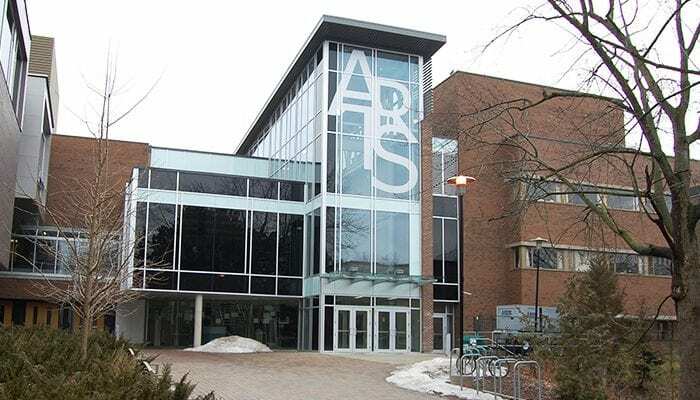 Its Computer Science program ranks #1, and its Engineering program ranks #2, in Canada. 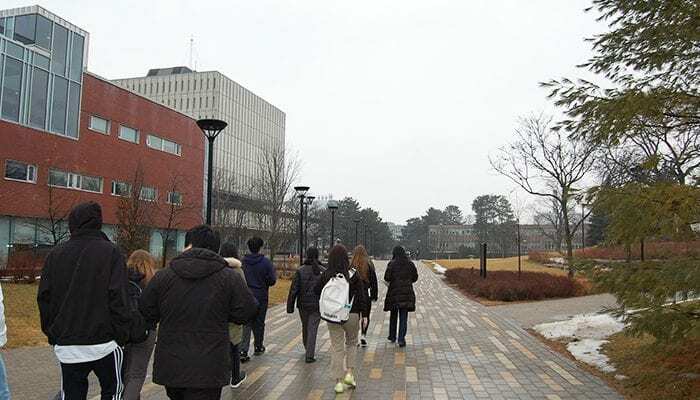 Our International Students broke out into smaller groups to tour the expansive campus. 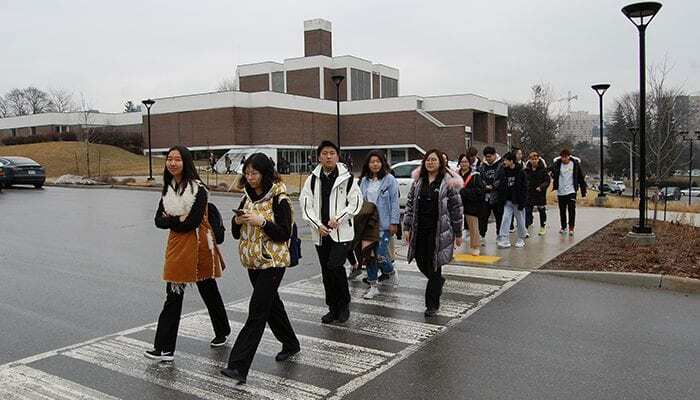 Current University of Waterloo students acted as tour guides, showing students the various buildings and facilities, and talking about various programs, including program requirements and the admission process. 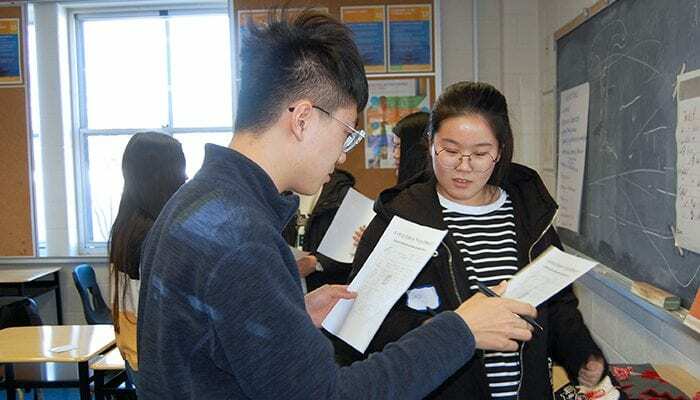 International Students who are entering our program for the first time can best prepare for their arrival by completing this Arrival checklist. It is recommended that you provide as many of the below listed documents as possible before your arrival in Canada. Students attending school in our Board must provide their Immunization Record with proof of the vaccines they have received. 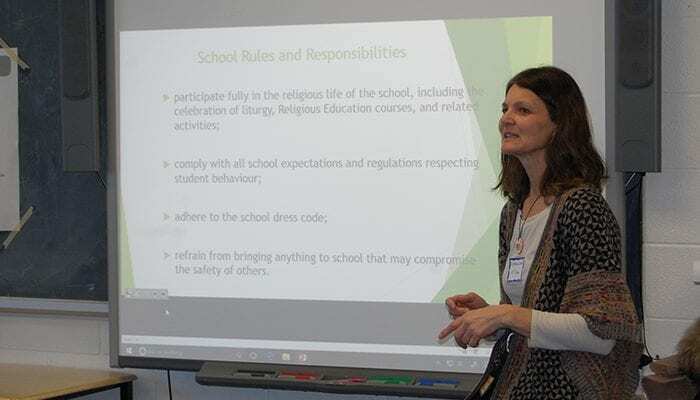 Failure to do this may result in a student being suspended from school. The most efficient way to provide your Immunization Record is to use the Canada Immunization Record Form. Coat: Should be thick, heavy and water-resistant for maximum warmth. Hat: Winter hats, or toques, are often seen as an unofficial Canadian symbol. Gloves: Keeps your fingers warm! Scarf: Keeps your neck warm! Boots: Should be insulated and water-resistant. Snow Pants: Keeps your legs warm during winter activities like snowboarding. Cell Phone and phone plan: Make sure your cell phone will work in Canada. Canadian Bank Account: Make sure your bank account will work in Canada. 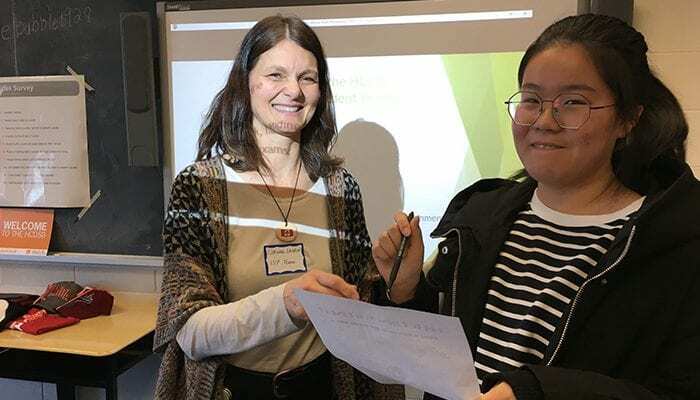 A group of Chinese International Students at Notre Dame Catholic Secondary School cooperatively wrote an article for their school’s online newspaper InsideND.ca. 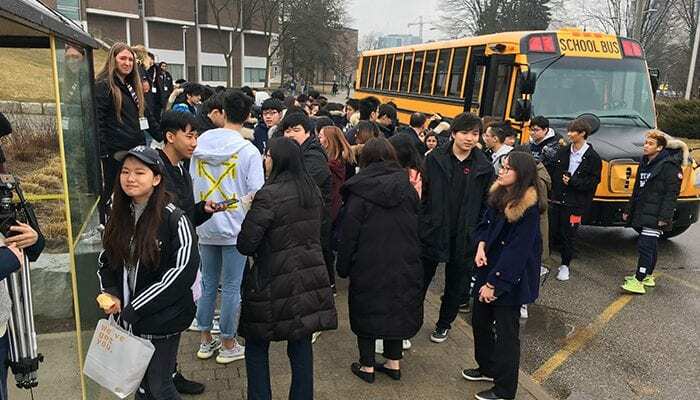 The article (featured below) gives a brief comparison of their experiences in school back home in China versus school here in Canada. School in China is very different from school in Canada. In China (for junior high school), I get to school at about half past seven every morning and finish school at six o’clock. Everyone has one classroom with about fifty other students, and they have most of the classes in this one room, they also keep their school bag here. Everyday we have morning reading where everybody reads the textbook aloud together. We start the first class at eight and every class is forty five minutes long with ten minutes to rest, we have seven or eight class a day. 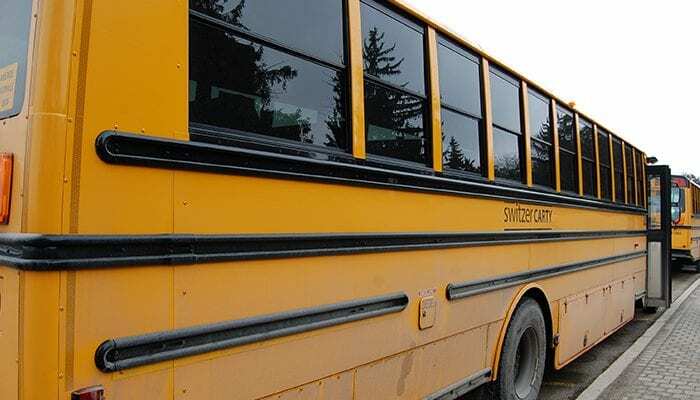 You can have nap or do your homework after lunch, because the lunch time is much longer than school in Canada. When you get home, you’ll be busy because you have a lot of homework to do, our homework is much more than Canada’s. Lots of students don’t get enough sleep. School is much different in China. 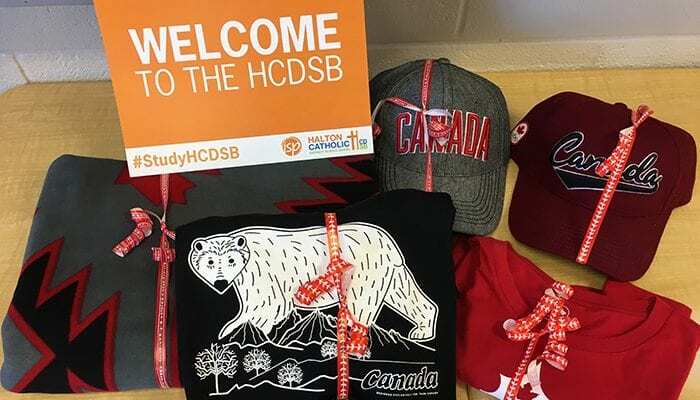 Located in Burlington, Ontario, Notre Dame Catholic Secondary School (CSS) provides its students with countless opportunities for learning, exploring, and having fun! International Student applications are currently open for all grades, apply now! 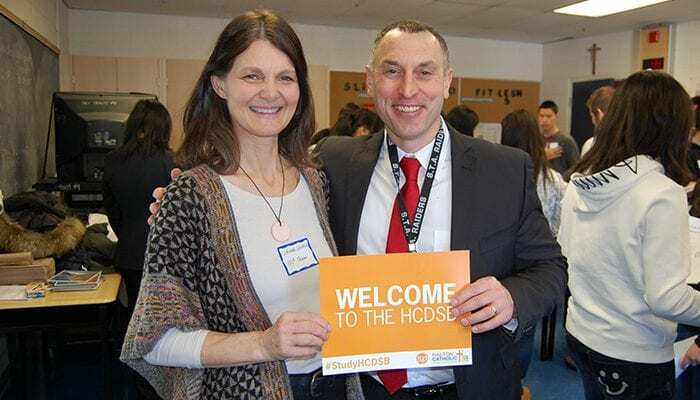 The innovative STEAM club at Notre Dame CSS is run by 8 knowledgeable staff members, whose original goal was to increase cross-curricular connections and engage students in the areas of science, technology, engineering, arts, and mathematics. The STEAM club constantly strives to expand their knowledge, and one way they accomplish this is by visiting reputable universities. 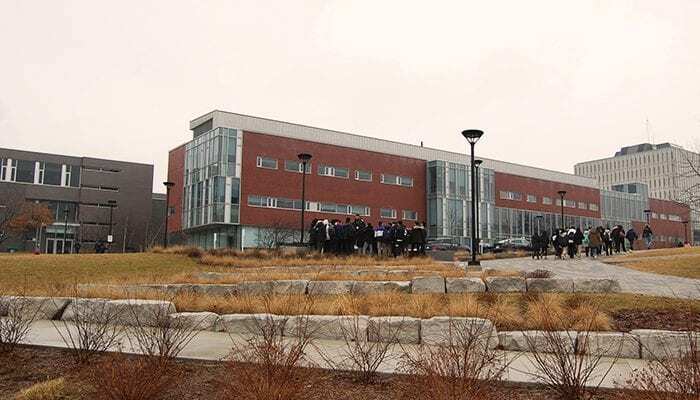 STEAM club members have visited McMaster University’s (located in Hamilton, 30 minutes from Halton) Engineering Program’s “Factory of the Future” – where they learnt about the cutting edge technology being taught there. 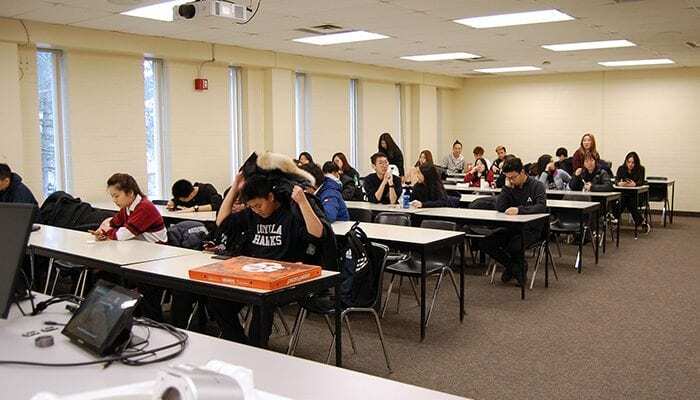 They have also visited the University of Waterloo’s (located in Waterloo, 40 minutes from Halton) campus for a full tour and participation in their educational seminars. 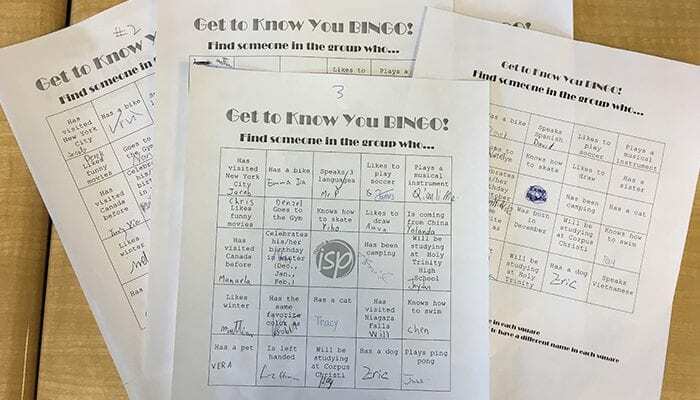 The STEAM club recently participated in a STEAM Night for elementary students in grades 1 – 8. STEAM club members assisted in organizing 10 STEAM-related activities for elementary students, ranging from coding to making lava lamps. This massively successful event had over 100 attendees. The STEAM club has also organized a Board-wide STEAM Conference for elementary students in grades 7 and 8. Joseph Kinsella, a Notre Dame CSS alumnus, Valedictorian of 2010, University of Waterloo Mechatronics graduate, and cofounder of Pegasus Aeronautics, was at the conference and spoke to students about his educational and career path starting from his Grade 10 Robotics class at Notre Dame CSS, to where he is now. 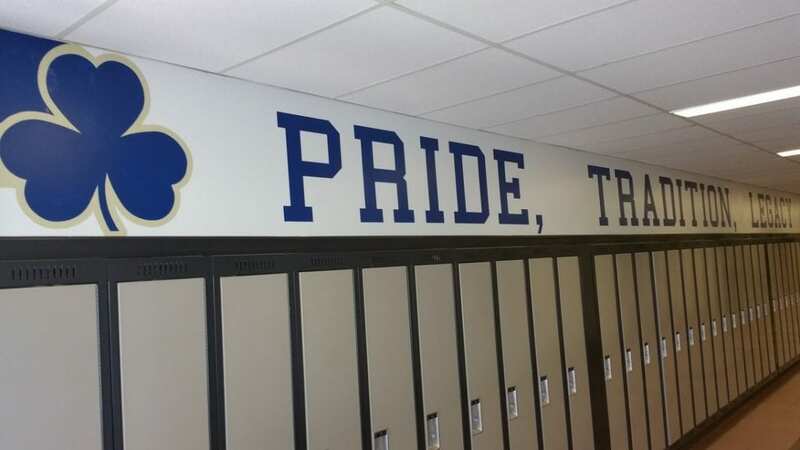 There have been some impressive recent upgrades inside the walls of Notre Dame CSS, including some fresh painted walls and lockers, and new banners! If you are interested in touring Notre Dame CSS in person, you can book a tour by contacting the school at 905-335-1544. 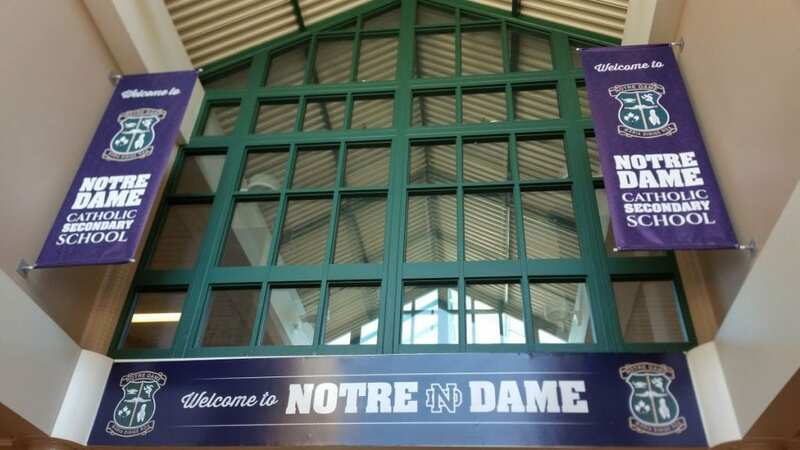 Inside ND is a popular student led online school newspaper that features excellent articles, all written by Notre Dame CSS students, about what’s happening at the school and within the surrounding school community. 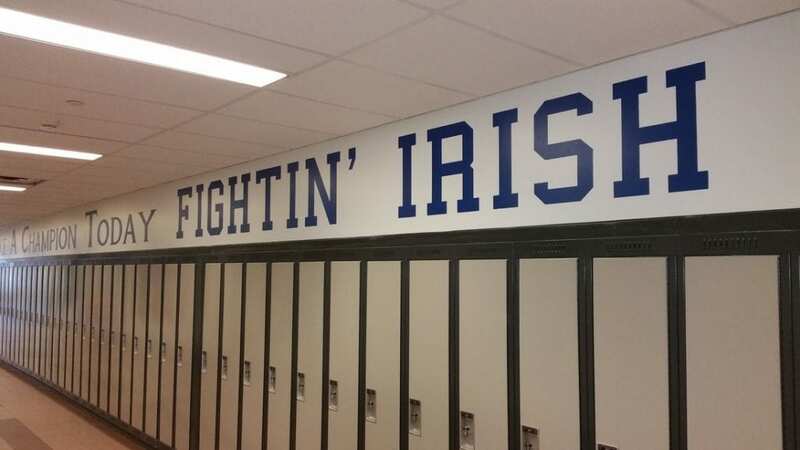 You can visit insidend.ca to get the latest school news, and to see what it’s like being a Notre Dame student! 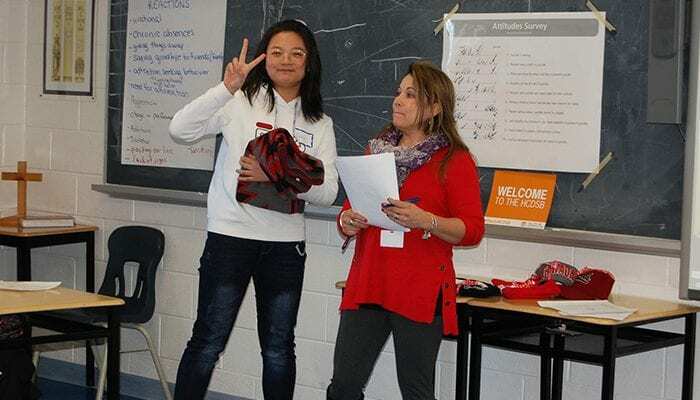 Hosting an International Student in your home provides a unique opportunity for you and your family to share customs, traditions, culture, and new experiences with a student coming from another country. You can help to provide a safe and encouraging environment for a student while they are thousands of miles from the comfort of home. If you are interested in hosting an International Student while they attend school here, please contact us to learn the next steps.